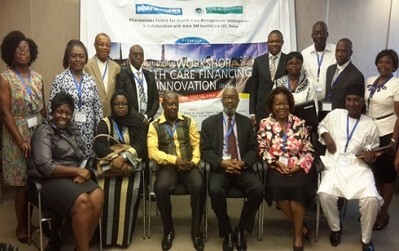 Health care professionals met and synergized at the recently held Pharmanews international workshop in collaboration with Aster DM Healthcare, Dubai, on Health Care Financing and Innovation, in Dubai. 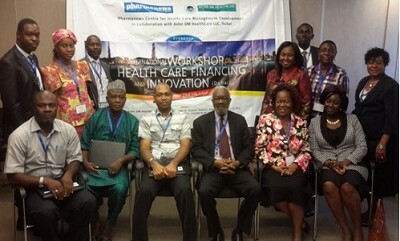 It was an eventful outing with participants from across board of the health care and pharmaceutical industry. 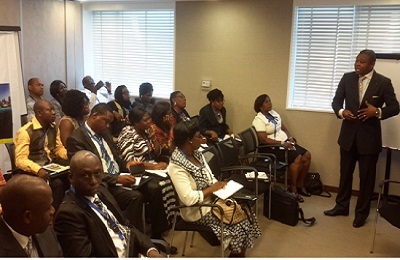 Dr Femi Olaleye also played a vital role as the lead discussant during the syndicate session. 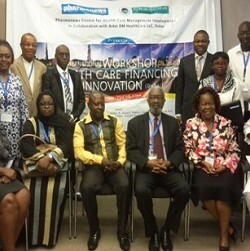 Group photograph of participants and the Pharmanews team during a tour of the Dubai mall at the recent training workshop on “Health Care Financing and Innovation”, which held in Dubai, UAE. Participants from the Nigeria Customs Service in a group photograph with Sir Ifeanyi Atueyi and Dr Femi Olaleye. 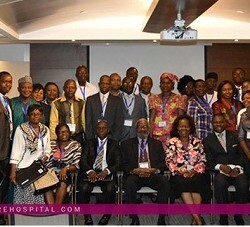 Participants from Shell Petroleum Development Company of Nigeria in a photograph with Dr Femi Olaleye, a facilitator (3rd from left), Sir Ifeanyi Atueyi (middle), and Lady Joan Atueyi (3rd from right). 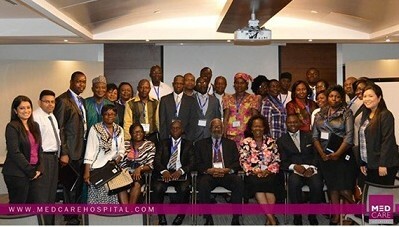 Other participants in a group photograph with Sir Ifeanyi Atueyi. Dr Femi Olaleye, the lead discussant, during the syndicate session. 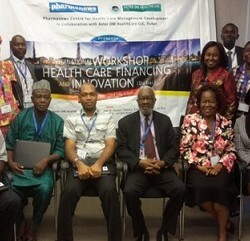 Participants at the workshop, with Sir Ifeanyi Atueyi. 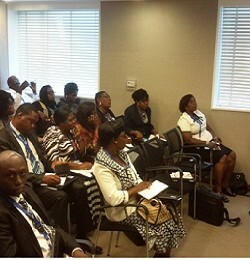 Dr Kehinde Bello of Nigeria Customs (2nd right), leading his group during the sydicate session. Another group discussion during the syndicate session with Pharm. Chibuike Agaruwa of Euromed Limited (2nd left), the group leader. Pharmanews could be trailing on the path the organisation is divinely established to.